play along with our #searchalong! Hello, friends! I hope you had a wonderful weekend. For those of you in the U.S., I hope the fireworks were well worth staying up late to watch. This morning we put S on a plane to visit her grandparents, and I’m missing her already. So I thought it might be fun to do a little long-distance project together. And I thought you might like to play along with us! 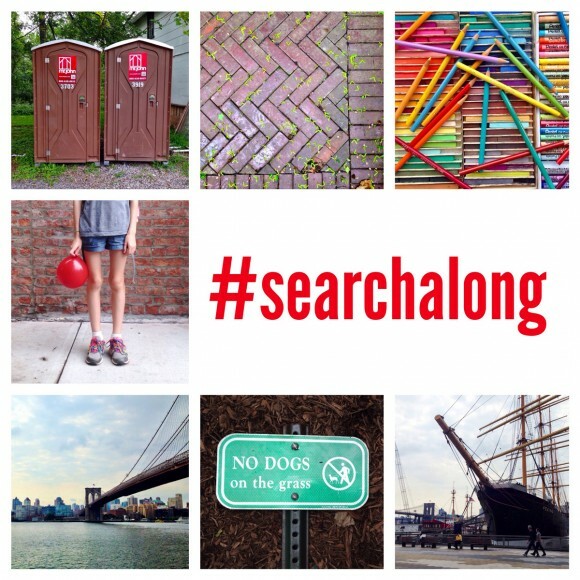 This coming Friday afternoon at 4:00 pm EDT (as opposed to EST, which I just learned from the smart guy sitting next to me, because we’re in daylight savings right now), I’ll post a list of 15 items on Instagram with the hashtag #searchalong. The list will be posted to the @oliverands Instagram feed. If you want to play along, the list is a scavenger hunt, and the goal is to take a photo of as many things on the list as you can and post them to Instagram with a #searchalong before the end of the weekend. It’s not really a contest, and there are no prizes. And you don’t even have to have a public Instagram account to play along if you prefer to keep your Instagram account private. It’s just a fun project in which anyone can participate. S and I assembled some ideas last weekend, and a few of the items are a bit ambiguous, so you can interpret them however you want. For example, if the word “peanut” was on the list, you might take a photo of a peanut, a photo jar of peanut butter or a peanut butter sandwich, or a photo of your neighbor’s dog named Peanut. Or even a photo of your kid who’s nicknamed “Peanut.” It’s completely open for interpretation. The real goal of the project is to get you out and looking at things in creative ways. And to do something together as a family, wherever you might be located. OK? I’ll post the list and all my photos on @oliverands. I hope you’ll join us!